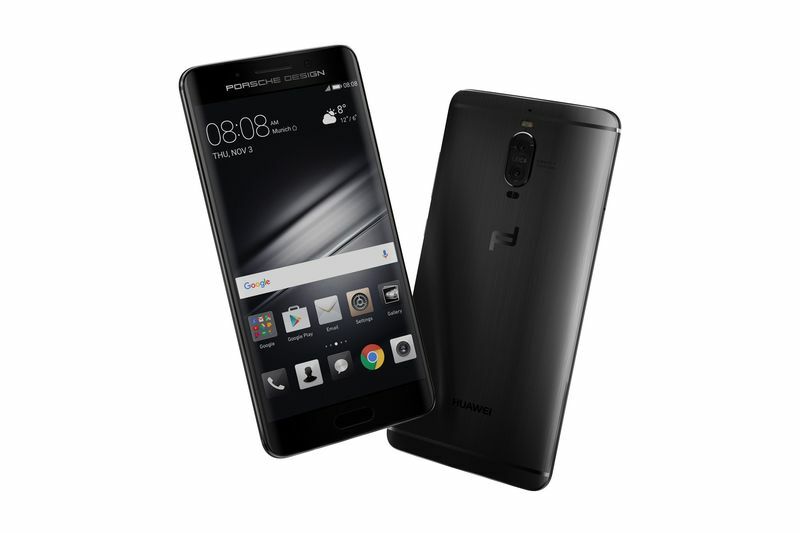 Along with the flagship Mate 9, Huawei also unveiled a more premium phone – the Porsche Design Mate 9, also a flagship. It’s a higher end limited edition phone targeting the luxurious category of handsets. Both the flagships sport almost identical internal but they are quite different on the outside. The Porsche Mate 9 is a beefed up version of the Mate 9 which already sports beefy specs. It runs on the same processor as the Mate 9, Huawei’s own Kirin 960, whereas the RAM has been increased from 4GB to 6GB, storage from 64GB to 256GB and higher resolution 2K display compared to the Mate 9’s 1080p panel. On the other note, the screen is curved like the Samsung’s Edge phones offering a more seamless design. Also, the device flaunts a home button below the screen which doubles a fingerprint sensor. I actually prefer front mounted fingerprint sensors compared to rear mounted which are unusable when they are lying on the table and on few phones require a few seconds finger search before unlocking the phone. Few people like the rear mounted sensor, be it so, we don’t need another war like Mac vs PC. The handset is made out of metal just like its brother but in a different color scheme(s). It would have been better if the Porsche Design model used different materials rather than using the materials now commonly seen on almost every smartphone. It could have been a differentiating factor and would be showing off a new face. The front of the device looks like a Galaxy Note 7 and the Xiaomi’s Mi Note 2 – the oval shaped home button being the matcher. The power button and the volume rockers are placed on the right side of the device, the mic and speaker are placed on the bottom along with the USB Type-C port. The shooter on this model is the same as the Mate 9, offering two Leica cameras – one 20 megapixel monochrome sensor which captures more information and the other 12 megapixel RGB sensor with optical stabilization that does the standard job. Both sensors work together to capture sharp images with high dynamic range while also improving low-light imaging. On the front, there is a regular 8-megapixel camera – nothing notable about it. The Porsche Design Mate 9 sells for an insane price tag of €1,395 ($1,549) compared to the €699 ($776) standard Mate 9. If you’re thinking of buying one of two and care for design and quality, this ones for you.